Total Fitness … Knox Grammar School’s innovative Positive Education program is a quantifiable success. Boasting stately buildings and manicured grounds, Knox Grammar School on Sydney’s Upper North Shore would appear to be the epitome of old school. But looks are deceiving. 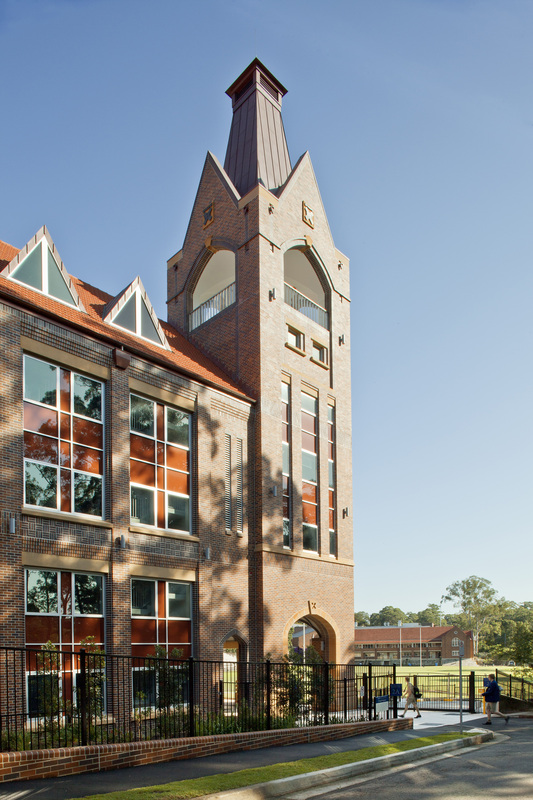 Knox is in its 10th year of a transformational project to bring pastoral care to the forefront of the school’s culture. Its Total Fitness program broadens the school’s remit to cultivate students’ characters as well as their minds. Integrating the principles of Positive Education into a traditional academic setting, Knox’s cutting-edge methodology seeks to equip students with the knowledge and life skills required to flourish in a globalised economy. “We are renewing the traditional model of education through thoughtful innovation and a focus on preparing students for a rapidly changing world,” says Scott James, the school’s newly appointed headmaster. 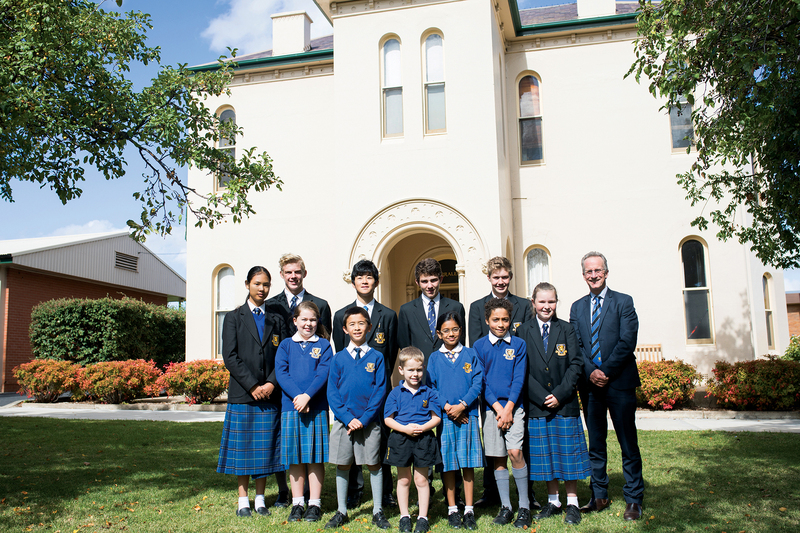 Positive Educator … Knox Grammar School’s newly appointed headmaster Scott James. 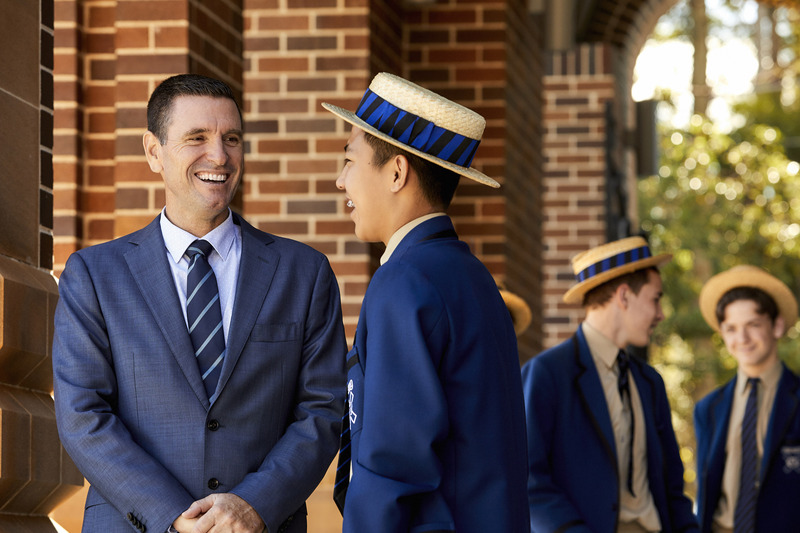 The program has special relevance for Mr James who initiated a re-think of pastoral care when he came to Knox in 2009 as head of the Senior School. An extensive research review lead the school council to adopt Positive Education as an evidence-based framework for a rejuvenated school culture. Working with Sydney’s Positive Psychology Institute Knox developed its data-driven Total Fitness Positive Education program in alignment with the school’s unique heritage and values. “Total Fitness is about holistic education. We focus on the whole student — academic, social, physical and spiritual aspects — based on the science and evidence of Positive Education. All our staff are trained in it, which allows them to focus on the optimal functioning of students in our care,” says Mr James. Since its implementation in 2011, Knox has tracked the program’s impact on staff and students. The results demonstrate improvement in key areas of the school with the Knox community enjoying significantly greater stakeholder satisfaction than that of comparable schools. While the data offer quantifiable proof that Knox is tracking in the right direction, Positive Education has made a difference at every level of school life, Mr James says, by nurturing “non-cognitive life skills, such as “empathy, tolerance, compassion and understanding of other people’s points of view”. The equal emphasis on staff wellbeing distinguishes Positive Education from other pastoral care models and underscores the school’s holistic educational approach. At Knox, every activity presents a mentoring opportunity. “All our teachers are also mentors trained in Positive Education,” says Mr James. Holistic approach … Every teacher at Knox Grammar School is also a mentor trained in Positive Education. Adult guidance is supplemented by ‘boy to man’ mentor programs, Mr James says, “because we believe boys learning from boys is critical”. Knox is a perennial high achiever in the HSC but recent years have seen even better results with the school ranking in the top 20 last year. Mr James attributes this happy outcome to the extensive support the school offers students in those stressful senior years. “In years 11 and 12 we have a senior academic mentor to help the boys with time management and goal setting. Students have a mentor for the pastoral side and the academic side,” Mr James says. “Our boarders are extremely successful academically. There’s no doubt that the academic support and availability of resources 24/7 that contributes to that,” he says. 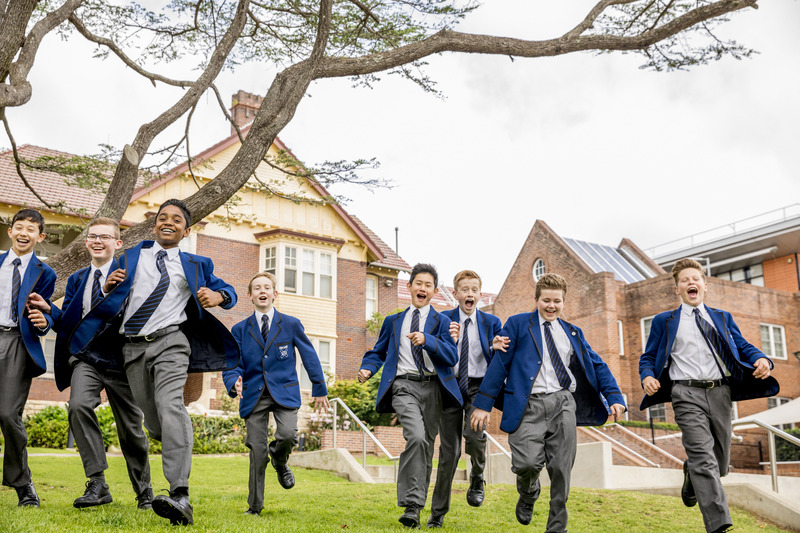 Proud heritage … Knox Grammar School offers best-practice education in a traditional setting. Improved wellbeing and academic outcomes are just the beginning though. Mr James has an ambitious and wide-ranging plan for the school’s progress in the years to come. He is “committed to building a learning community of the highest quality” that will empower students to succeed to their fullest potential. Central to this project is the cultivation of core character traits: integrity, resilience and the pursuit of excellence. “My vision is to be an exemplary school developing within a caring, Christian environment to produce young people with a sure knowledge of who they are and how they want to live,” Mr James says. “I have key focus areas for the school: leadership, teaching excellence, learning excellence, Knox Total Fitness and global mindfulness, which is critical to give students the opportunity to engage in social justice programs, community service and immersion activities. These experiences give students a sense of mastery and efficacy and help to develop rapport with other people,” he says. “Knox is a school for boys of all abilities, races and creeds where they’re supported as equals. With our understanding of mental fitness we can teach boys to deal with setbacks and develop grit. We emphasise ‘stickability’ — staying on task and employing a growth mindset. Two of state’s leading independent schools, All Saints’ College and The Scots School, have put aside their longstanding rivalry in favour of a merger. All Saints’ was on the market for more than a year before The Scots School’s parent body emerged as the winning bidder. The news came as a surprise to observers as the Bathurst-based co-ed boarding schools have historically played up their differences and are administered by different churches. 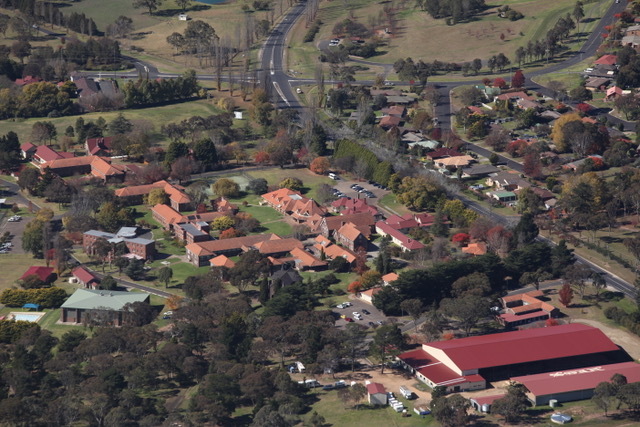 The Scots School is owned by the Presbyterian Church while All Saints’ was run by the Anglican Diocese of Bathurst until its recent purchase by the Presbyterian Church of NSW. The All Saints’ sale was precipitated by the Diocese’s financial difficulties and the proceeds will go toward retiring debt. The schools announced their new partnership on August 29 of this year but intend to remain separate entities for the immediate future with plans to eventually integrate, possibly as soon as 2019. All Saints’ Head of College, Steven O’Connor was upbeat about the school’s prospects under its new regime. These sentiments were echoed by The Scots School Headmaster David Gates who told the Western Advocate that there is much to look forward to in the alliance. Mr O’Connor agreed, predicting an upsurge in student numbers coming up to the 2019 school year. “If we maintain our current enrolments until the start of 2019 we will start the new school with around 750 kids which is a good size school,” he said. Some of the growth will be spurred by a likely fee reduction to bring All Saints’ into line with Scots, which reduced its fees by 30 per cent this year. But while there’s strength in numbers, the larger aim is to combine their resources for a sustainable future focused on excellence, Mr Gates said. Situated in picturesque Armidale, NEGS offers young women an excellent education in a healthy country setting. Founded in 1895, the school’s 50-hectare campus is a vibrant mix of heritage architecture and new facilities, including state-of-the-art science laboratories, two undercover Olympic-sized arenas, a working farm, and a national-standard Equestrian Centre. As an Independent Anglican school, NEGS offers a safe, progressive environment embodying Christian values. Its Positive Education ethos supports every student’s wellbeing so she can reach her own level of personal and academic achievement. Amongst its proudest accomplishments, is the school’s outstanding equestrian program having produced national and Olympic champions. This year, NEGS has attained a new milestone, fielding its biggest representation ever at the Australian Interschools Championships with 10 students in the country’s foremost children’s equestrian competition. NEGS girls will represent New South Wales and the Northern Territory, competing in every discipline: jumping, dressage, eventing, combined training and show horse riding, as part of the largest team in the national contest. The school credits its recent appointment of Olympic Equestrian Imtiaz Anees as a driving force behind NEGS’ success. Since 2015, he’s been building on the school’s customised training programs for horse and rider to produce ever greater outcomes. Working with fellow coach, elite equestrian Rachelle Hirst, Mr Anees has implemented a coach mentoring program to support all the school’s riders to realise their full potential competitively and recreationally. 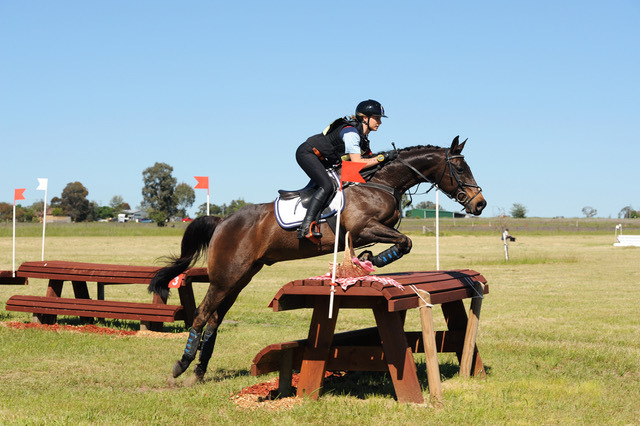 “A number of students come to NEGS with aspirations to become competitive riders on a state and national level, and NEGS aims to nurture their ambitions through our state-of-the-art training and fitness programs and extensive competition schedules,” she said. 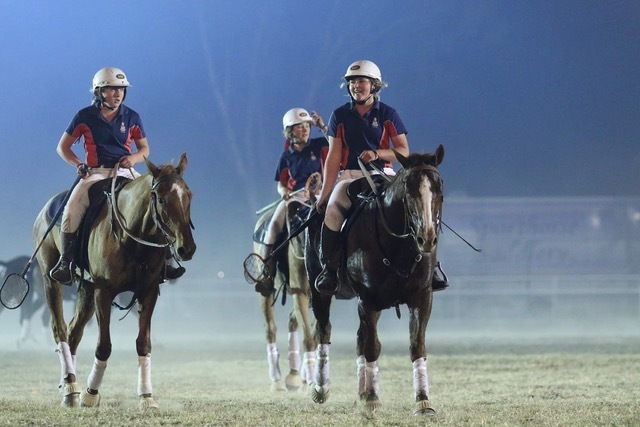 With Australia’s only girls’ Polocrosse Academy as well, riding sports of every ilk are championed at NEGS as are horse management skills and animal welfare. Beyond sport, opportunities for extension and enrichment are offered in all subjects. Students in the Year 9 and 10 Scholars Program can study an area of interest in greater depth, working both independently on chosen projects and with teacher guidance. Where students need extra attention the school offers one-on-one and small group learning support. Senior students can select from a broad range of academic and vocational subjects, providing a solid foundation for post-school opportunities. An all-round education is central to the NEGS philosophy and the school has found that its keen athletes tend to bring the same discipline to class work with excellent results. As the saying goes: healthy body, healthy mind. At NEGS, girls are given every opportunity to achieve peak performance physically and intellectually. To learn more about NEGS visit the Hills School Expo on Saturday, September 9 and Sunday, September 10, 2017. Staff from NEGS and many other independent schools serving the Hills area will be available to answer all your questions and offer you a deeper insight into their schools’ unique qualities. This is an unrivaled opportunity to find the right school for your child. Welcome to our school blog page. Feel free to read through and review these articles as you please. If you have any questions or feedback please contact us.